In June 2017, I went to Rhodes Island, Greece to attend and give a talk at the VII International Conference on Coupled Problems in Science and Engineering (COUPLED 2017), held near Rhodes Town, in the northeast part of the island. Rhodes is the largest of the Dodecanese islands, and is in the eastern part of Greece, very close to Turkey. One of the things Rhodes is known for is having been the home to the Colossus of Rhodes, one of the seven wonder of the ancient world. 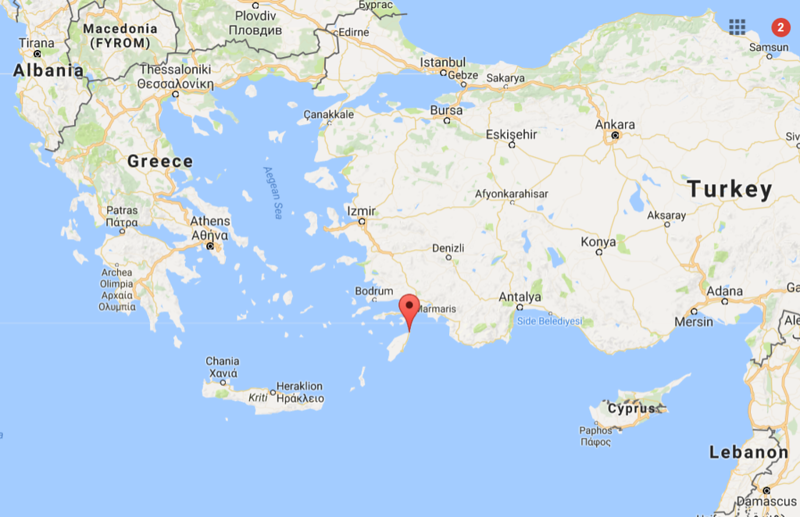 Following the conference, I traveled around the island of Rhodes, south to Lindos, then to the western coast of the island. I then spent 1 day in Athens before returning to the States. Rhodes is the largest of Greece’s Dodecanese islands, very close to Turkey. Here it is on the map, with the marker marking Rhodes Town, located in the northeast corner of the island.